Make a maze out of invisible dog fence. Have a bunch of people wear many collars on their bodies and tell them they need to navigate their way to the end of the maze. They can see the end of the maze, but if they take the wrong path, they will get shocked. 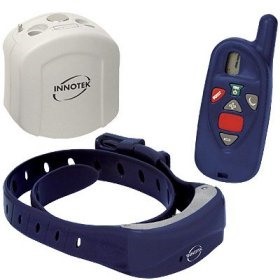 Also either have them wear the barking dog shock collars so that if they leave the boundary they will scream and keep getting shocked until they return to the maze path, or have another method to get them to return inside the boundaries. But make sure their shock collars are turned up all the way. You could also have people throw water balloons filled with pee or do something else funny, and say it will stop once they reach the end. You could even just shock them with the remote whenever you want.